What is the current topography of Roma collections in Europe, and how do Slovak cultural initiatives and artists’ strategies contribute to it? Which institutions preserve and present Roma cultural heritage? What is an ethical and effective strategy for collecting Roma-related information, objects, and cultural artifacts? How can Roma archives be compiled and curated accurately and constructively? How can Roma artifacts and history be presented without the romanticized elements of outdated ethnographic museum exhibitions? These questions are at the core of the symposium entitled “Collecting, Curating and Presenting Roma”. Representatives of diverse institutions, as well as researchers, art critics, Roma intellectuals and artists – together with the audience – will examine the questions mentioned above and their relevance in current mainstream Slovak discourse. The invited experts have extensive experience in methods for working sensitively and productively with Roma cultural memory and knowledge production by Roma, and in dealing with the challenges connected to digitalization in museums, collections, and archives. 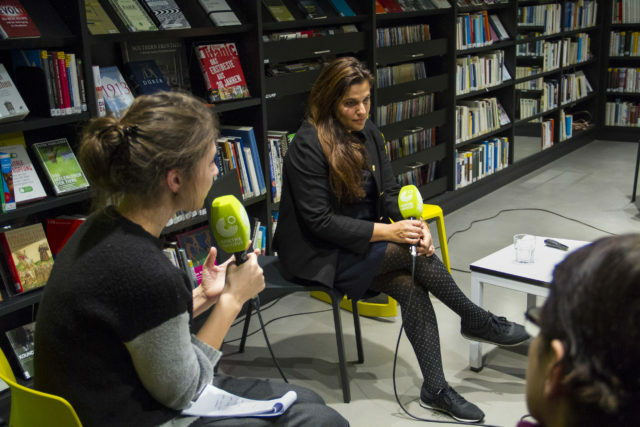 The symposium was a collaborative event of the Goethe Institute Bratislava, tranzit.sk, RomArchive – Digital Archive of the Roma, and Spolka. The supporter of the symposium is RomArchive’s Visual Art Section.